How Will You Indulge For National Dessert Month? October is National Dessert Month and we’re here for you. At Yogurtini, we strive to provide as many options as we can to satisfy your sweet tooth. Frozen yogurt is always our main staple, and with so many flavors and our extensive toppings bar we have something delicious for you and your squad. With our constantly rotating flavor offerings, we encourage you to explore different creations. National Dessert Month is a special time to get out of your comfort zone and with our menu of choices we’re here to help you try something new! 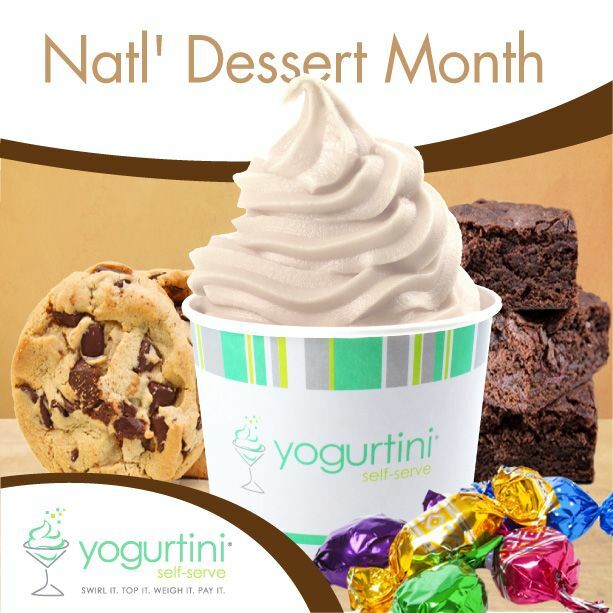 Talk to your local Yogurtini about flavor offerings and indulge your sweet side all October long!